In the world of fast food sides, fries reign supreme. 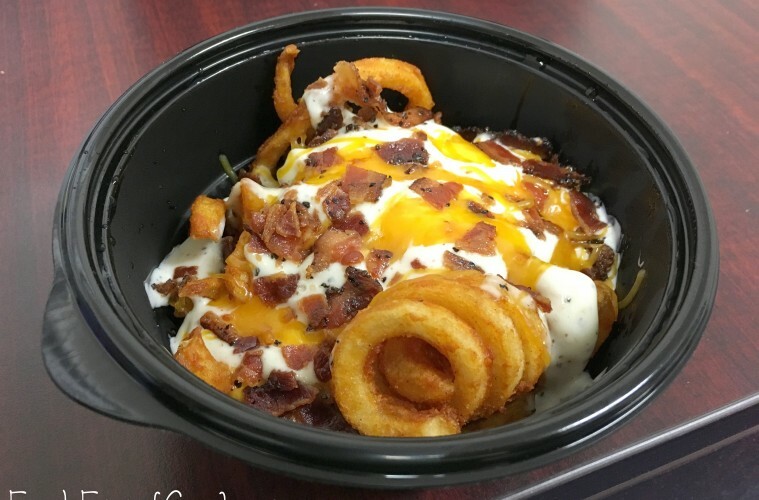 Arby’s is one of the lone entrants into the curly fry realm. 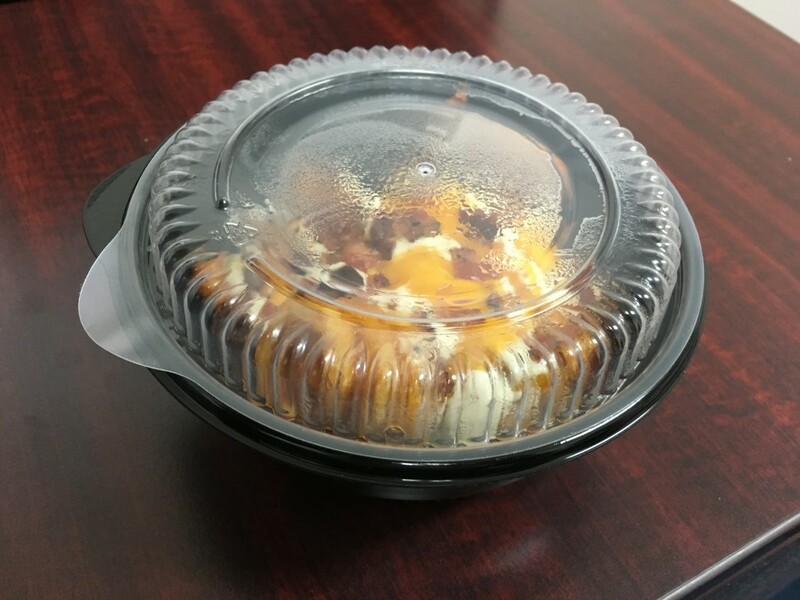 Whether people love the wisps and curls of the curly strands or the bodacious bounciness of the springs, Arby’s Curly Fries are a crowd pleaser. 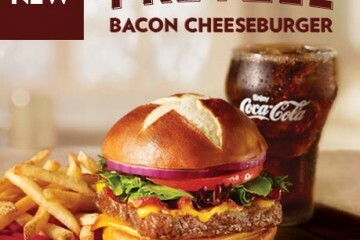 For the first time ever, Arby’s has decided to dress their signature fries up, in a big time, loaded way. 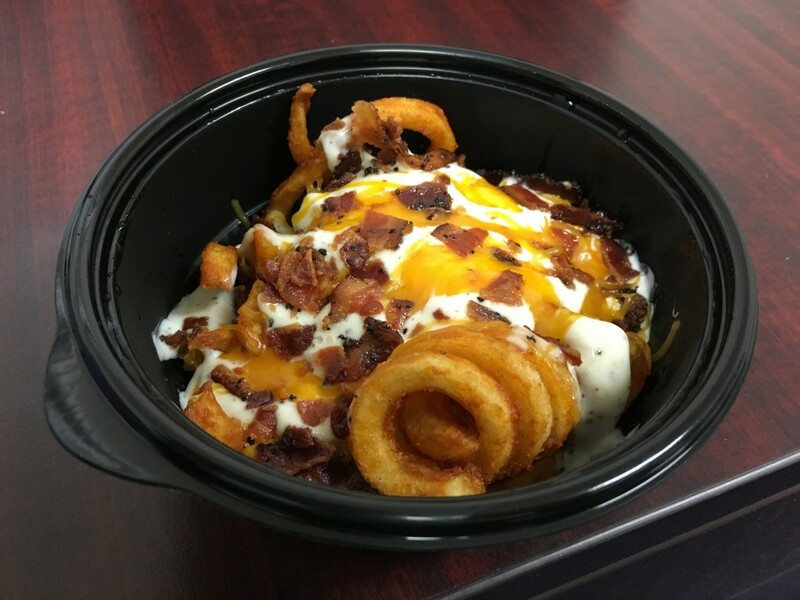 Premium priced at a $2.99, the Loaded Curly Fries are a full $1 more than Wendy’s deluxe french fry options. Based solely on size, I’d say that these are equal or maybe even smaller than Wendy’s, so looking at things in a purely financial way, these things better taste great. 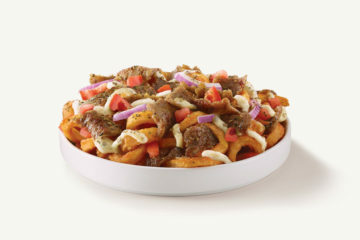 Arby’s variety goes out of the way to include multiple sauces and toppings though, so comparing to Wendy’s side by side isn’t fair. 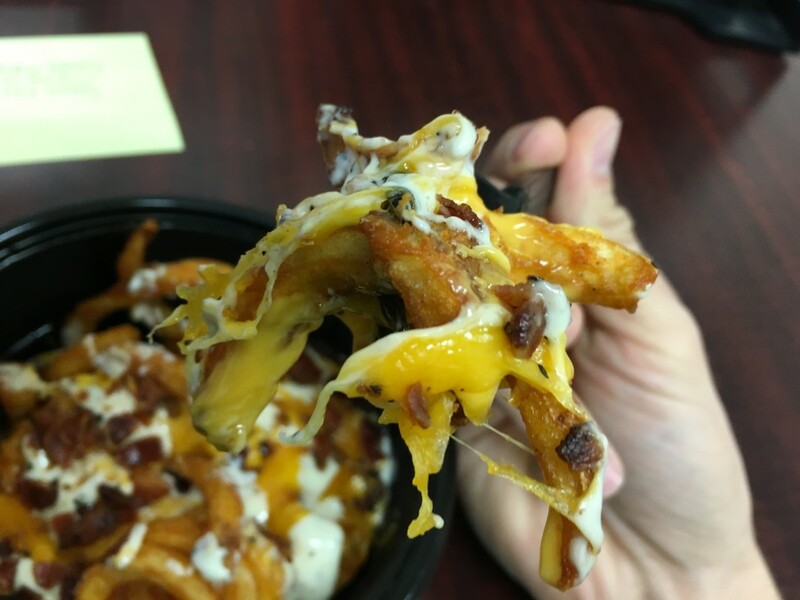 Once opening up the bowl like vessel, it’s almost hard to find the fries underneath the layers of flavor, but the bountiful aromas tickled the soul and a big, signature spring fry poked out from beneath. At first sight, it didn’t seem like there were that many fries, but after manipulating things around a little, a heartwarming quantity of fries became evident. 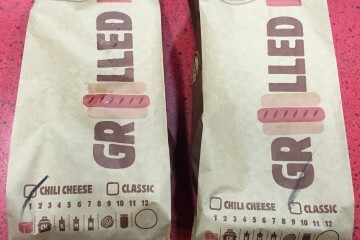 Arby’s sure didn’t skimp on the additions here. 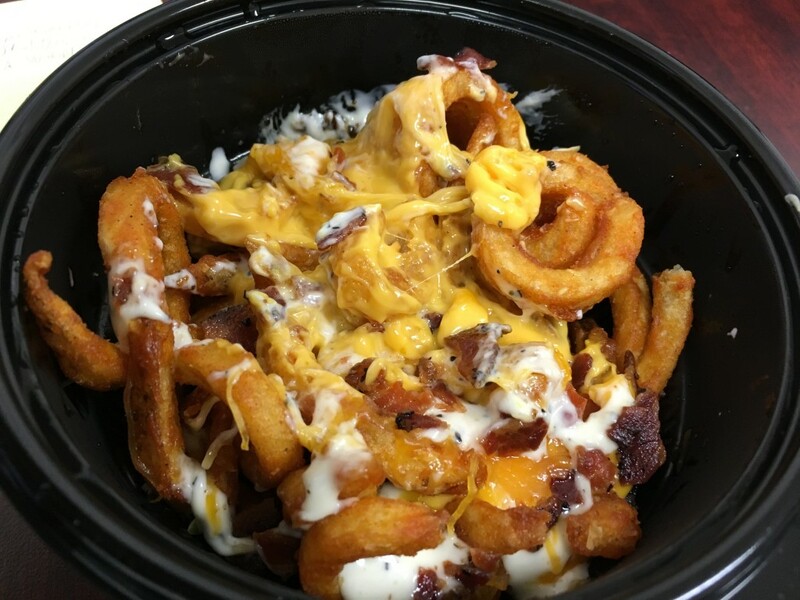 When it comes to loaded fries, patrons frown on naked fries, even if it’s just one. These are doused and loaded in the fullest way. Things are even laid out in a great proportion, with the cheese sauce taking center stage, with the other three components taking on complimentary roles. The bacon was smokey and peppery, while the peppercorn ranch sauce was zesty as can be. The shredded cheese was potentially overkill as it didn’t really provide much besides a differing textural component. 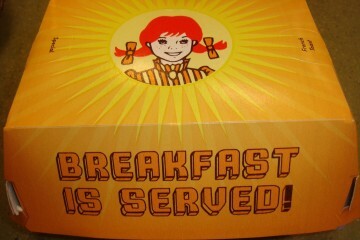 As “loaded” components go, these are a great combo and Arby’s Curly Fries shine as usual, in texture and taste. The peppercorn ranch is my favorite element here, as I’ve always loved dipping fries in ranch. 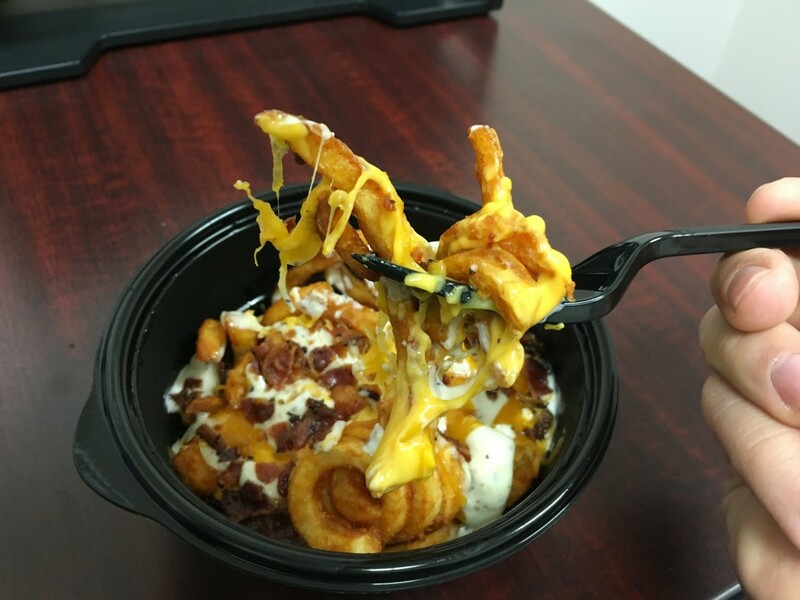 Arby’s Loaded Curly Fries are a stellar menu component. 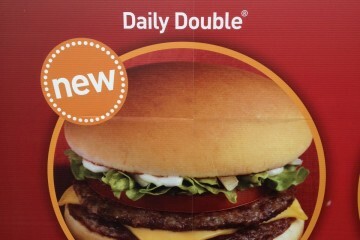 Available as part of Arby’s 2 for 5 deal, the relative price can be as low as $2.50. 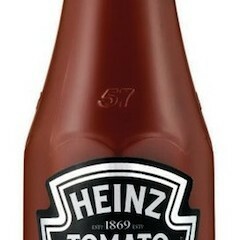 While still not cheap, the premium ingredients and abundance of cheese/dressing make these truly worthwhile. Coming in at 700 calories, I’m a little ashamed that these are considered a side. Although, eaten as a treat or shared with someone, they won’t disappoint in any way.